Nintendo’s history with online services on its game consoles is, to put it nicely, quite poor. Game purchases never carry forward, nor do usernames and friend lists — each subsequent console’s service feels like Nintendo started from scratch. And in the case of Nintendo’s newest console, the Switch, it outright launched without an online service. NintendoLeft: The Nintendo Switch in home console form. Right: The Nintendo Switch in portable form. 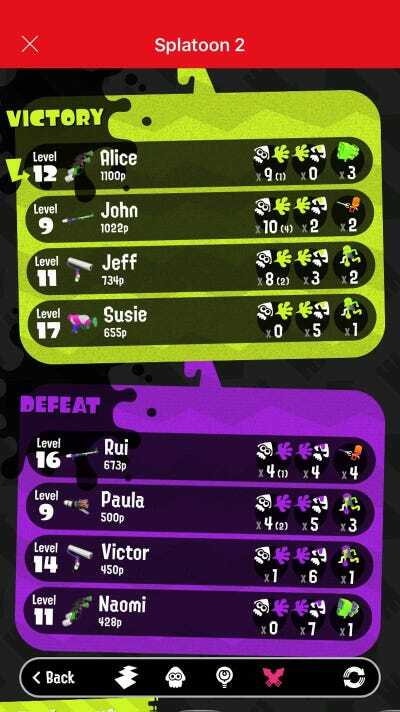 Outside of a digital storefront (the “eShop”) and a rudimentary friends list, none of the rich online features that people expect in modern game consoles are built into the Switch. You can’t even watch Netflix on it, let alone browse the web or play a game in a party chat with friends. 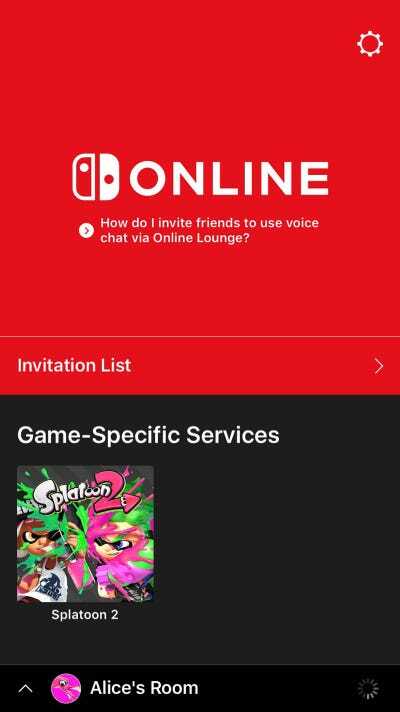 Nintendo’s taking steps towards a legitimate, paid online service in 2018 with the launch of “Nintendo Switch Online.” You’ll even get free, classic games every month as part of the membership. 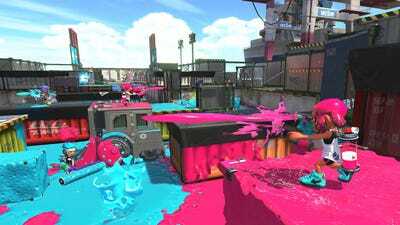 The service is getting a test run starting with “Splatoon 2” on July 21, and Nintendo just showed off what it will look like for the first time. Let’s dive in! Rather than building the online service into the Switch, Nintendo's taking a different approach: a smartphone app that acts as liaison. 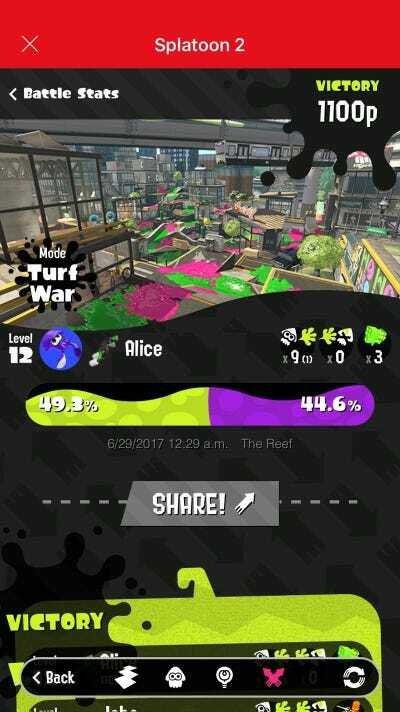 The app, seen here with 'Splatoon 2,' makes using the Switch online much more robust. Party chat, for example, is a primary component. 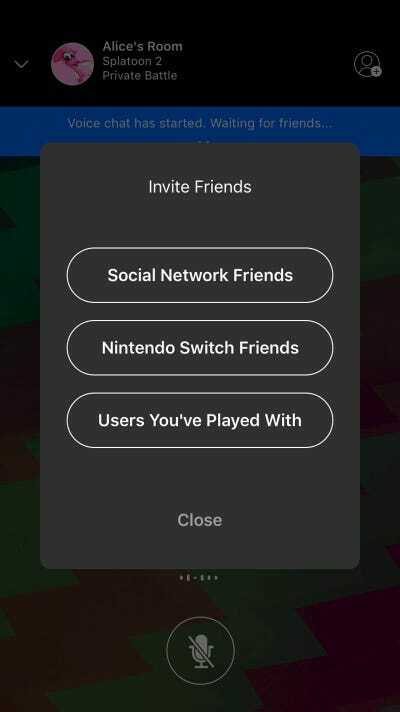 You can even invite people you've played with, and folks from services like Facebook and Twitter. You can simply mute your mic if you don't want to be heard, and it's easy to see everyone you're chatting with by their icons. It's gonna get pretty cluttered in these rooms with a ton of different icons bouncing around. 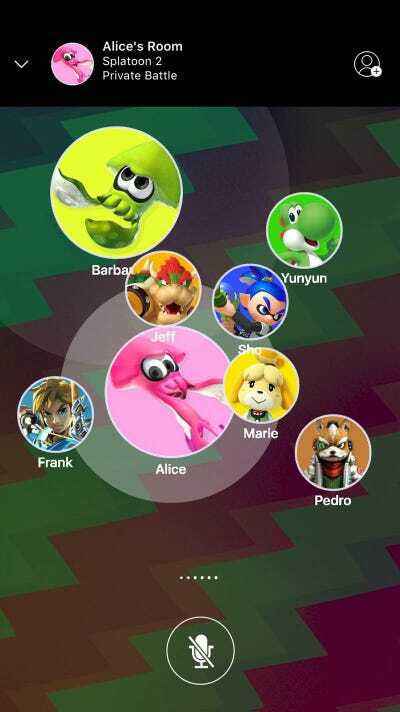 The way this functions could change, of course, as this is an early version of Nintendo's app. 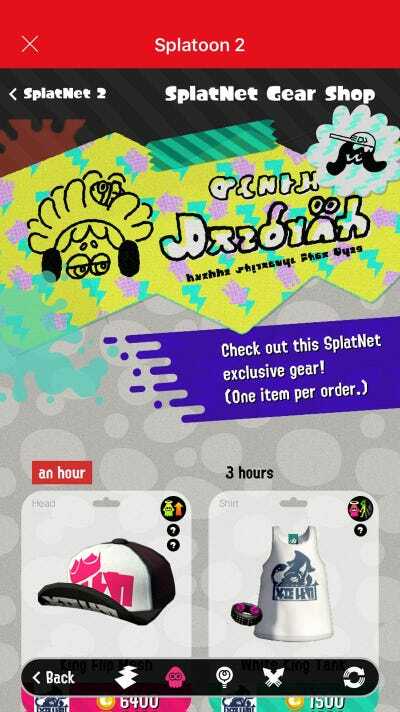 More than just offering ways to play with friends, the Nintendo Switch Online app enables you to directly purchase gear for your 'Splatoon 2' characters. 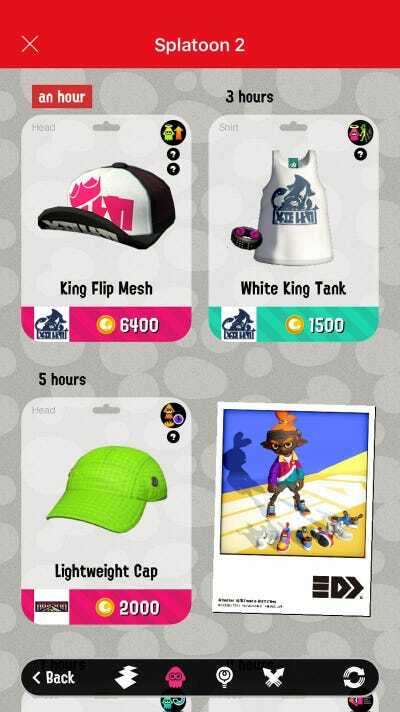 Rather than just icons on a page, the items in the shop have a physical quality to their looks. It's literally a retail store package, just in digital form. Notice the hook spot in the top section, where this product would dangle on a hanger. You'll even unlock free stuff through the app simply by having it. 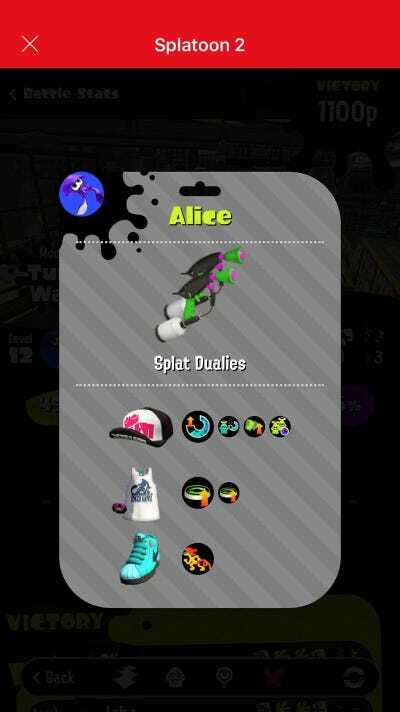 The more you play 'Splatoon 2,' the more stuff you'll cover in ink. 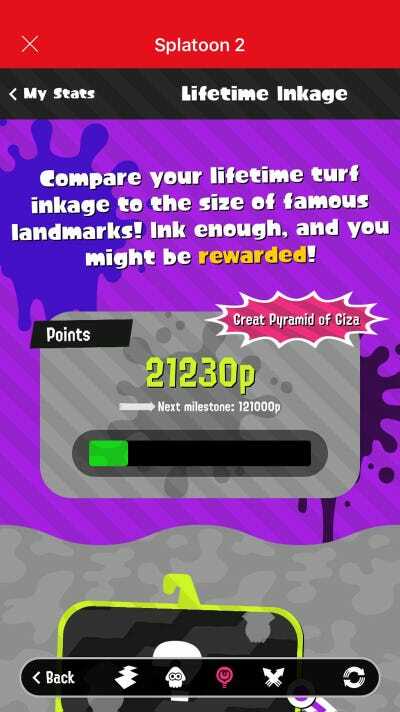 And the more stuff you cover in ink, the more free stuff you unlock! 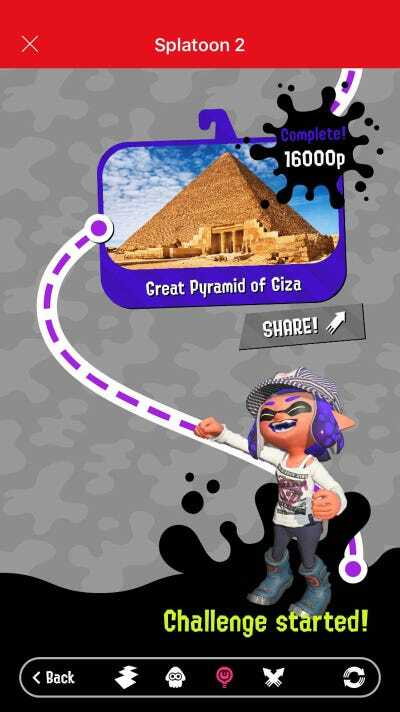 Just look at how happy this squid kid is! There are also more basic functions, like leaderboards and past games' results. And yes, you can share that kinda stuff directly to social media with a sweet little report card (which looks amazingly similar to the in-game report card after matches). 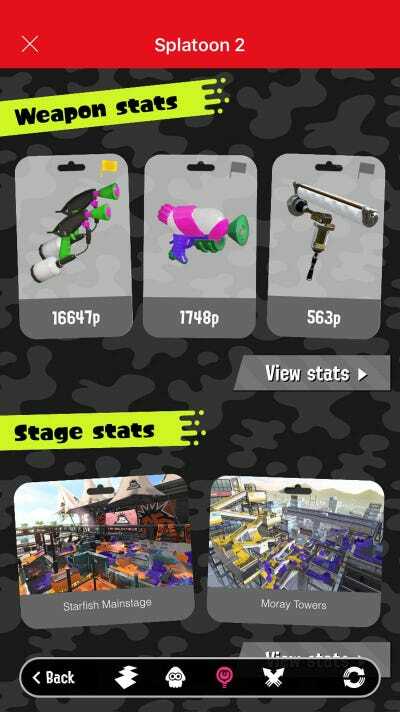 Progress tracking goes beyond total area covered in ink -- you can dig in and see exactly how much damage you've done with each weapon, and how much you're using each. Unsurprisingly, there are unlocks tied to this stuff as well. The app is headed to both iPhone and Android users, and it's free. 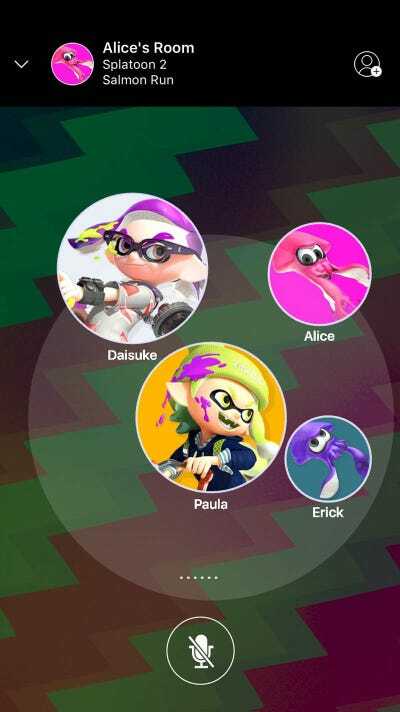 Nintendo's online service for the Switch doesn't officially light up until some point in 2018, but you can try both the service and the app early on July 21 when 'Splatoon 2' arrives on the Switch.